Last week, I shared a Pottery Barn room styled for Christmas with you. Today, I’ve picked another neutral room, all decorated for Christmas. This parlor was featured in Country Living, and despite the similar neutral palette, it has a completely different style from the other room. 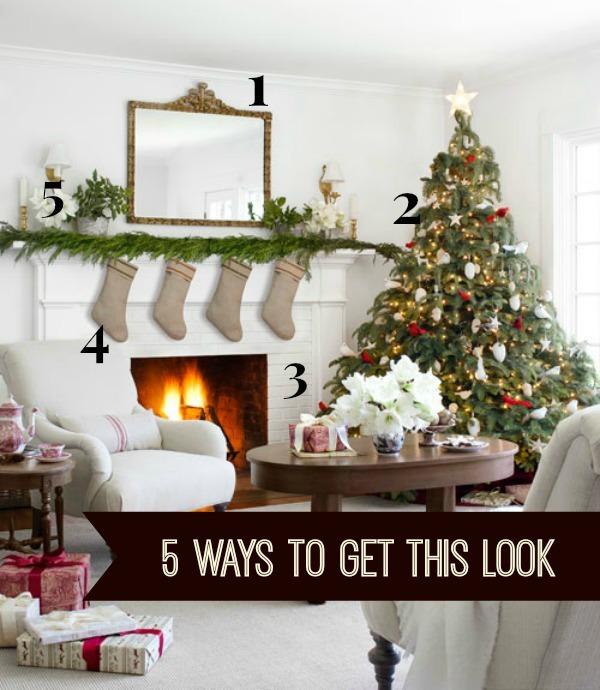 I’ve found 5 tutorials that you can use to create a festive farmhouse style in your own home, this season.